Ropes comes in all thicknesses and materials, but one thing all ropes have in common is that they can easily become knotted and not so easily unknotted. If you have tried to manipulate a difficult knot out of a length of rope before you will know how tricky the task can be. Fortunately there is a simple way to easily and effectively get out stubborn knots without damaging the integrity of the rope strands. Place the rope into a clamp leaving only the knot and one end of the rope loose. The knot should be held firmly in place so you can maneuver the loose end of the rope. Grasp the loose end of the rope with pliers according to the thickness of the rope. Use needle nose pliers for very thin rope and bull nose pliers for thicker rope. Push the pliers into the knot to force the rope through the knot. You may need to push the rope a few times before it budges. Pull the loosened part of the knot until the rope comes out of its knot loop. If the knot is complicated, you may need to push the rope through the knot again to make it completely undone. If you don’t have a clamp, have a friend hold the rope steady with a second pair of pliers instead. 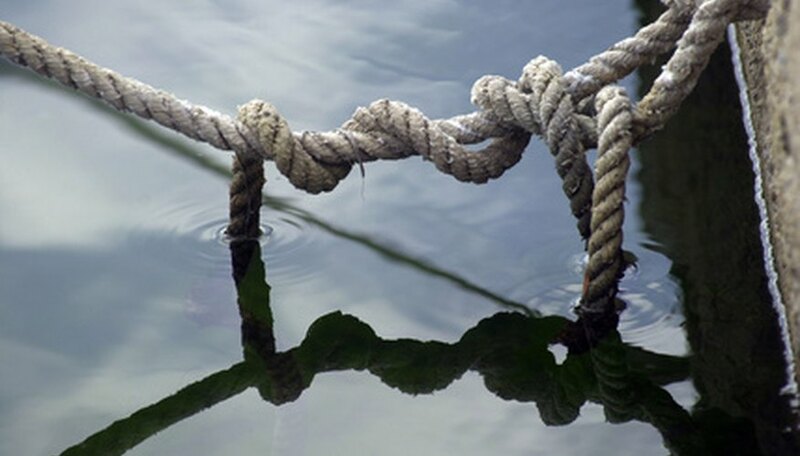 Do not leave ropes tied for extended periods of time if you can avoid it to prevent stuck knots.